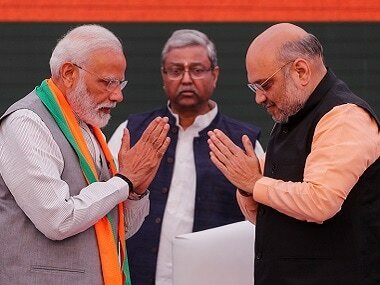 "Muslim youth should have Quran (tradition) in one hand and computer (modernity) in the other," said Prime Minister Narendra Modi. He was addressing the conference on ‘Islamic Heritage: Promoting understanding and moderation’ at Vigyan Bhawan on Thursday. This appeared as one of the well-spirited and concrete suggestions of the prime minister that a large section of Indian Muslims is likely to welcome with an open mind. For India’s mainstream Muslims — imbued with an age-old inclusive tradition — modernity and tradition go hand in hand. The emblem that India has a large role in establishing an inclusivist Islamic identity was evident throughout Modi's talk that stressed on Islamic moderation in the context of Indian composite nationalism. He highlighted India as a country of the divine message (khuda ka paigam) where all religions have been nurtured while calling the Indian democracy a ‘celebration of age-old pluralism’. "Whether it's Buddha or Mahatma Gandhi, the message of peace was spread from here, India has created an identity while considering the whole world as one family," he said. Thus, in this conference, Modi surprisingly seemed not only as the prime minister speaking on behalf of every Indian citizen, but also as a well-wisher of the world’s second-largest Muslim population. No wonder, it was organised by Delhi’s India Islamic Cultural Centre, known for promoting religious pluralism, multiculturalism and social cohesion exhibited by Indian Muslim leaders since the independence of the country. Notably, Modi's clichés on Indian heritage of syncretic culture (Ganga-Jamuni tehzeeb), philosophy of the confluence of different religions and the Vedic view of world as one (Vasudhaiva Kutumbakam) reverberated in the following talk of King Abdullah II bin Al-Hussein. He reciprocated Modi: "It was wisely said that 'the world is one family'. We have a shared responsibility to each other and the world”. Just as Modi averred that counter-terror was not a fight against any particular religion but rather against a mindset that misguides the younger generation, Abdullah also termed the global war against terror as a 'fight by moderates of all communities against extremists'. "We need to take back the airwaves and internet from voices of hatred," he said. Historically, India is the only country which laid the foundation of its composite culture (or Ganga-Jamuni sanskriti) with a fusion of the Vedic tradition, the Eightfold Path (Ashtanga) of Gautam Buddha, ahimsa (non-violence) of Mahavir Jain, the Sikh and Sufi focus on the Unity of the Divine (wahdat) as well as the monotheistic belief of the Semitic religions (tawheed). Remarkably, as historically recorded, Islam arrived in India in the lifetime of Prophet Mohammad (pbuh). The first mosque was built in South India in the Keralite architectural style. All this gave great impetus to Islam’s convergence with the country’s age-old inclusive ethos, syncretism and moderation. This motif also resonated in the words of Jordan’s King Abdullah, when he said: "Inclusion is the path to the coexistence we need. 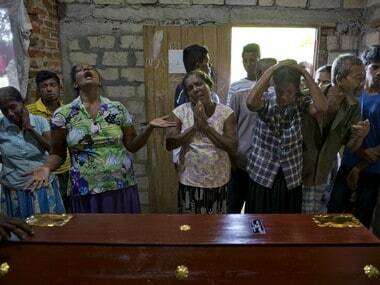 We need to build strong successful countries.... It is for everyone in how we deal with each other and the hand of friendship we extend to one another." Clearly, these significant remarks of both Modi and Abdullah on Islamic heritage of moderation will strengthen the inclusivist narrative of Islam which is upheld in India and Jordan, but is drowned in the aggressive posturing of hardliners in different parts of the world. Since the leaders of all Muslim denominations assembled in this gathering, it will help in advancing a strong narrative to mitigate the internal security threats posed by foreign or home-grown extremists. Tellingly, this event reminds us of the prime minister’s participation and keynote address in the World Sufi Forum held in 2016 at the same Vigyan Bhavan, where he issued similar remarkable statements like "among the 99 names of Allah, none stands for violence". Quoting India’s greatest Sufis, the prime minister had stated that “Islam rejected violence and the idea of division on the basis of religion” and that Sufism in India is the voice of co-existence, altruistic service to mankind and unconditional love for the nation. 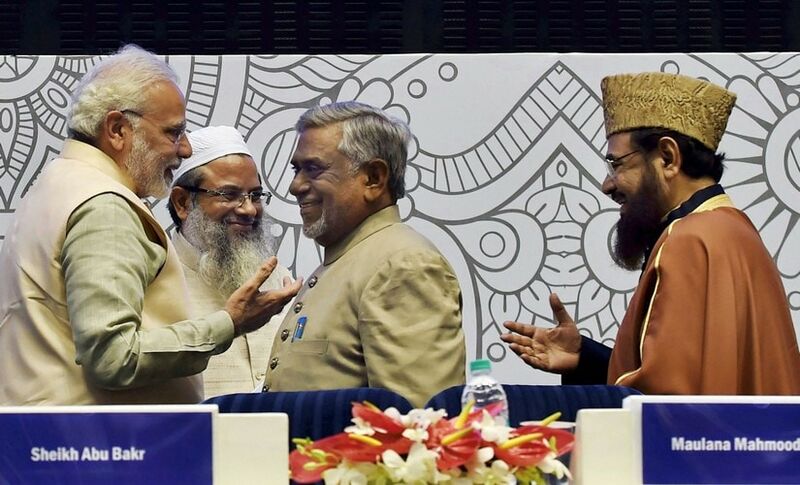 But what is interesting to note that many ulema and Muslim leaders, who openly or tacitly opposed the World Sufi Forum as NDA’s bid to woo Muslims, were surprisingly seen together in this event. Be it Jamiat Ulama-e-Hind or Jamiat Ahl-e-Hadis, Sufi-Sunni leaders or Shia clerics, leaders of all Islamic denominations in India were under one roof. Thus, it marked a historic moment in the Indian Muslim community’s collective resilience against radicalism. They now seem united in their bid to build a better image of Islam and protect the new Muslim generation from the misguiding ideologies. In fact, most anti-terror fatwas, in the recent memory, emanated from India’s Islamic jurists (muftis). This proves that the gigantic task of reclaiming Islam from the radical Islamists can be best accomplished only in India. 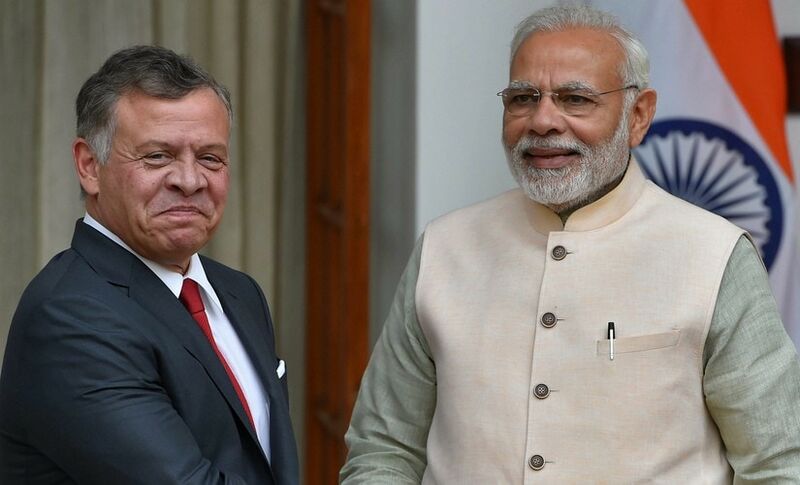 Jordan’s importance for Indian Muslims lies in an inclusivist non-takfiri (not accusing other Muslims of apostasy) interpretation of Islam which King Abdullah championed through the Amman Message. It assumed global significance against the backdrop of increasing Islamist radicalisation. Syed Ata Hasnain opines that Abdullah has progressively transformed his rule of Jordan to a more effective constitutional monarchy, through the march of the Arab Spring eight years ago. He writes: “With the other major threat looming over the Middle East, that of radical Islam and in the midst of the growing sectarian discord between Iran and Saudi Arabia, King Abdullah held one of the best-attended conclaves to address the issue of the hijacking of the moderate Islamic street by the Islamic radical elements. The culmination of this conclave of Islamic clergy and scholars across the sectarian divide in 2004 was the Amman Message of which enough has not been written nor spoken. Among many of the sub-messages gloved in the folds of the Amman delcaration was the acceptance by the Islamic clergy of the need to do away with the self-assumed practice of ‘takfirism’." However, the Muslims’ quandary in India is that while several counter-radicalisation conferences have successfully garnered attention, they still fail to fight the takfirist thoughts in an ideological battle. Winning this war on takfirism is what they can mainly learn from King Abdullah’s robust Islamic leadership. For the first time in the Muslim history, the Amman Message developed a global Islamic consensus on 'inadmissibility of declaring others apostate or infidel (takfir)'. It validated the diverse schools of Islamic theology, ensuring the inviolability of their followers' blood, dignity, and property and thus putting at rest the sectarian discords. 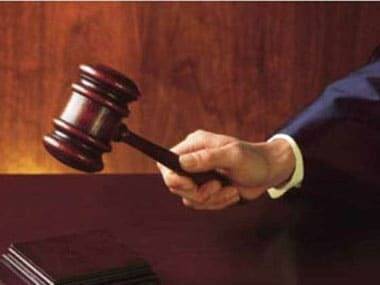 Indian Muslims must adhere to the cogent points of the Amman declaration, rather than issuing merely attention-grabbing anti-terror fatwas of little use. Significantly, several Indian ulema and scholars were participants and signatories of this declaration including Maulana Mahmood Madani, Kerala’s Shaikh Abu Bakr Musliyar, and Professor Akhtarul Wasey, who were among the chief guests of the conference at Vigyan Bhawan. They stated that if the Amman declaration is adopted in India, it would put an end to the pernicious spate of takfirism. In his welcoming address, Professor Wasey said: “As an eyewitness of the Amman declaration against takfirism, I have the full conviction to say that if it was acted upon in its entirety in the Muslim societies, they would not have been put to different tabulations they have faced so far." It was only under the Jordan King’s leadership that the Pope of Catholic Christians, even after a controversial statement on Islam, agreed to hold a fresh dialogue and exchanged mutual respect with Muslims, bridging the gaps between Islam and other religions on the common grounds (kalima al-sawa), Professor Wasey told this writer. A salient aspect of this event was the launch of Urdu translation of the book written by Prince Ghazi bin Muhammad, A Thinking Person's Guide to Islam, at the hands of Modi. Easy to read and understand, the book is an authoritative work on the essence of Islamic moderation. Prince Ghazi, who is world-renowned for his intellectual peace activism has reportedly removed many misconceptions particularly among non-Muslims in the West, through this book. It holds great significance also because the book’s foreword has been written by the King of Jordan.